In such a dynamic sector as modern agriculture, where everyday tasks call for a machine capable of frequent transport duty and with the adaptability to cater for different terrain conditions and crop types, a tractor that can contribute to organising your work more efficiently and effectively is an invaluable ally. 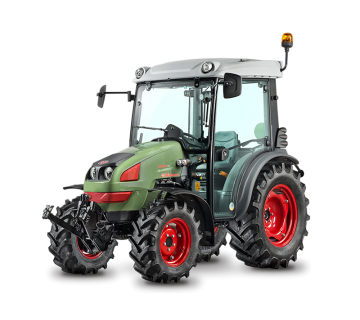 XM T4i V-DRIVE tractors - with a choice of four models from 100 to a 130 hp with a continuously variable transmission and hydraulic reverse shuttle - are reliable machines delivering superlative performance both in the field and on the road. 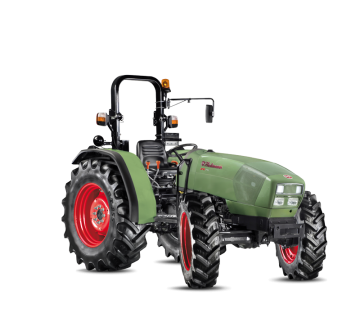 Potent and modern 4 cylinder Deutz Tier 4i engines developed specifically for agricultural applications and offering low specific consumption figures together with outstanding performance in all situations. An EGR exhaust gas recirculation combined system and a DOC catalytic converter comply with T4i exhaust gas emissions regulations.The turbo-intercooled 3620 cc engine featuring a Common Rail injection system , regardless of engine speed, ensures generous torque reserve even at low engine speeds combined with an effective electronic engine governor. For the hard working farmer spending long hours seated in the cab, the continuously variable transmission of XM T4i V-DRIVE tractors, with two work ranges (0-25 and 0-50 km/h) and a selection of driving modes (AUTO, MANUAL and PTO), plays a crucial role in attaining extraordinary efficiency in all conditions. The intelligent electronic management system helps the driver maximise either performance or fuel efficiency. Unparalleled driving comfort with the Sense Clutch hydraulic reverse shuttle, “Power Zero” stationary hold function and “Cruise Control” system, which lets the driver set a desired speed for working in the field or driving on public roads. The all-wheel drive and differential management system automatically engages and disengages four-wheel drive and the differential locks, reducing the workload on the driver, who no longer has to perform these tasks manually, to let the driver concentrate fully on the job in hand. Innovative solutions keeping everything under precise control: electronically controlled rear lift (with a capacity of 4650 kg or 6600kg), 6/8 way mechanically and electronically controlled distributors, independent steering system with SDD (Steering Double Displacement) and a hydraulic system that can be tailored to deliver maximum performance for any specific application. A basic hydraulic system, with a single 60 l/min pump; a more advanced 60ECO hydraulic system, with dual pumps and a delivery of 60 l/min at just 1600 rpm, and a potent 90 l/min system with Energy Saving function, which reduces power consumption by up to 2.7 hp. Boasting an electrohydraulically operated progressive independent multiplate wet clutch, the PTO (540/540ECO/1,000 rpm) is also highly versatile. The cab plays a vital role for comfort and productivity when working day after day in variable conditions, whether in the field or on the road. Total visibility, simple driving controls and superlative comfort are essential. 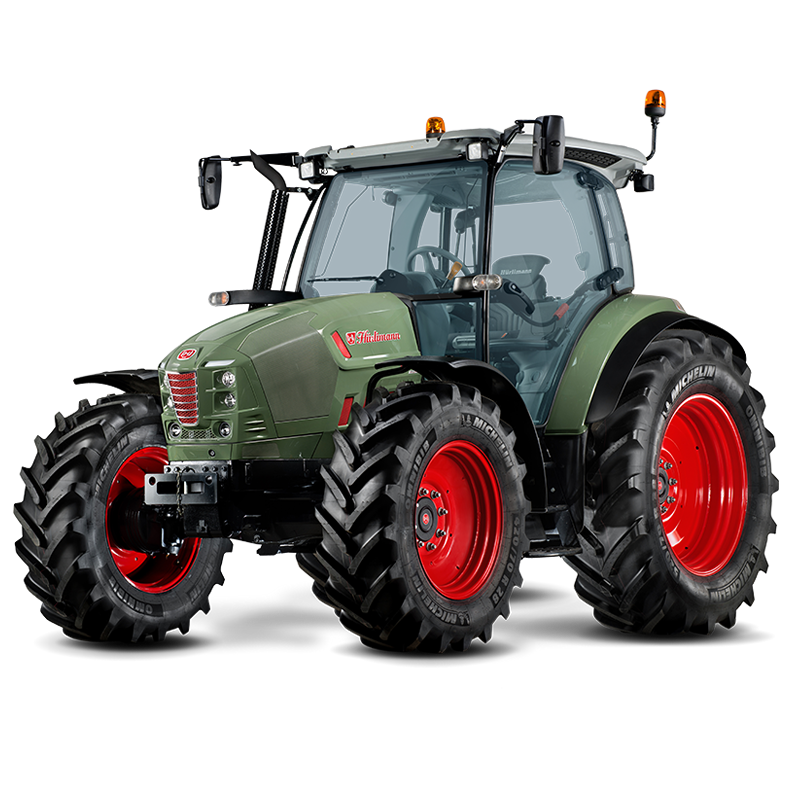 XM T4i V-DRIVE tractors have an innovative cab with slender pillars, a high visibility roof and controls that make the operator's job easier and quicker. All electrohydraulic controls are colour-coded by function, and arranged rationally and ergonomically around the driver in accordance with frequency of use. Completing the picture are a simple and intuitive lighting control panel and mechanical or air sprung cab suspension, making these machines a pleasure to drive.